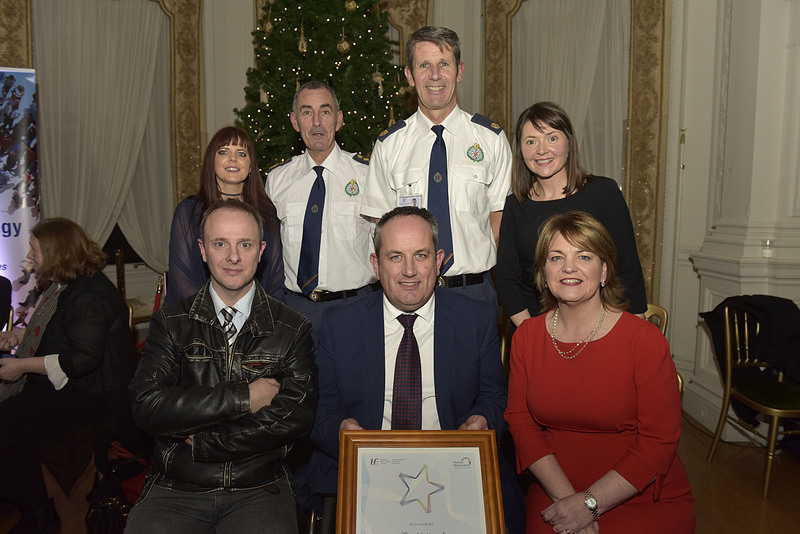 The Emergency Medical Services (EMS) Gathering received a Special Recognition Award at the Health Service Excellence Awards 2018 event held in Farmleigh House in December. The EMS Gathering is organised on a voluntary basis by HSE staff, including paramedics, doctors, nurses & administrators. The event was held from the 11th to the 13th September last year in Cork and was attended by approximately 400 delegates from Ireland and overseas. The Gathering focuses on improving the patient /client experience as well as discussions with Educators with particular expertise in various fields. EMS 2018 enjoyed collaboration with HSE Drug & Alcohol Services through panel discussions and the production of ‘Don’t Call me Vicky’, a street theatre performance looking at first responder engagement with those affected by homelessness, abuse, trauma and drug addiction. Patient narrative sessions were a key part of the event, understanding the patient perspective and the whole of the patient journey and how the actions and words of emergency medical personnel can have a profound effect on patients and families. A former service user of the Drug & Alcohol Services gave a powerful talk on his experiences from a young age of drug addiction and homelessness and explained his steps to recovery and rehabililitation to where he is now undertaking a Degree in Youth Community Work.